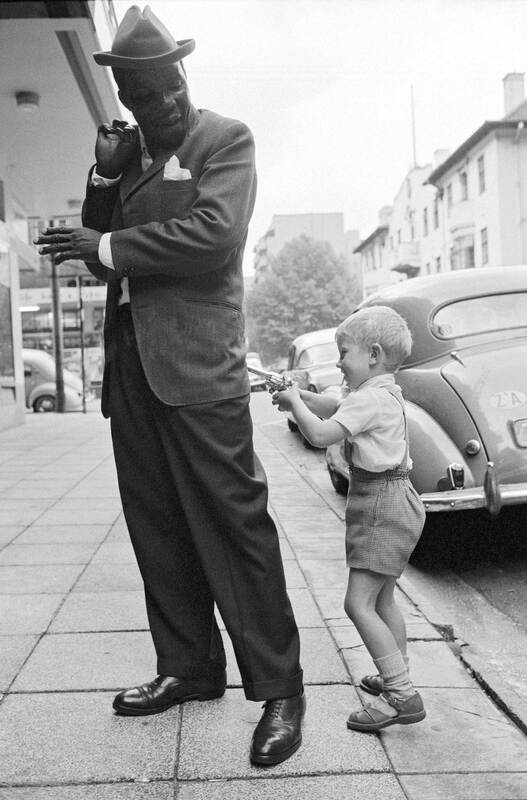 It is fitting that South Africa’s greatest photographer started taking pictures in 1948, the year that the National Party was elected to power and started battening down its programme of legalised racial segregation, known as apartheid. 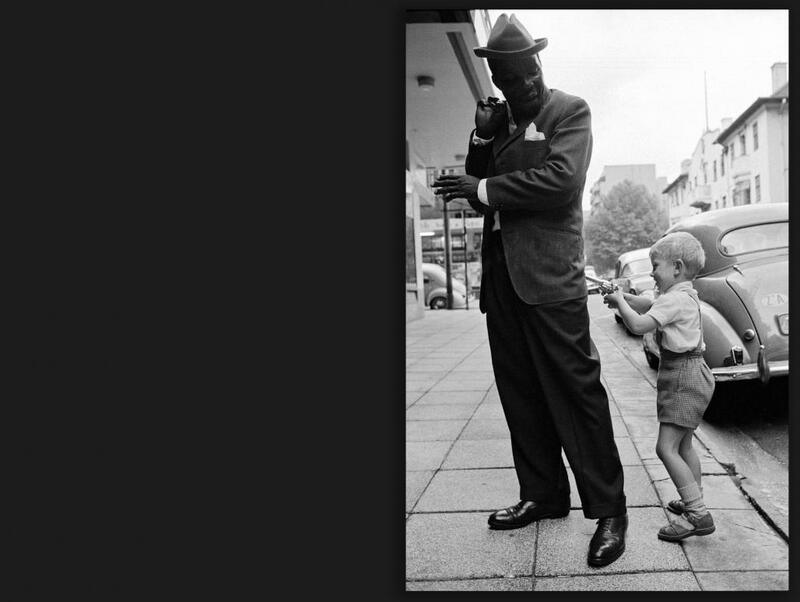 It also makes sense that, over the 46 years of National Party rule, David Goldblatt shot only in black and white. That was the reality of South Africa then. Every aspect of daily life – where you went to school, worked, drank, swam – was viewed in stark monochrome. 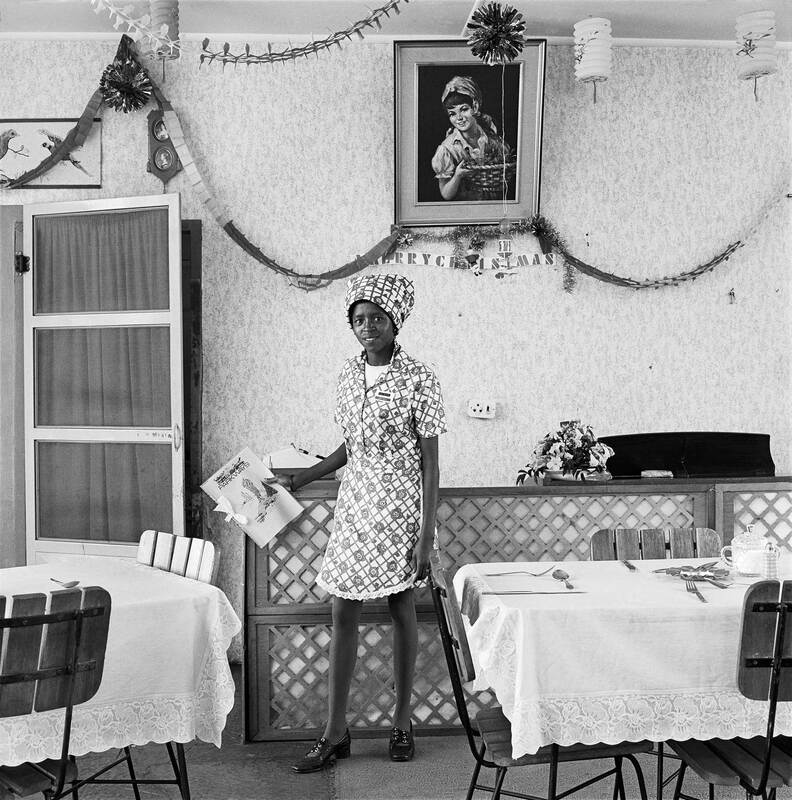 David Goldblatt was born in 1930, the grandson of Jewish emigres from Lithuania, and grew up on the Rand, the gold-rich areas close to Johannesburg. He started taking photographs at school, using a series of how-to books by Ansel Adams, a famous American photographer, to teach himself the technical side. Unable at first to make a living out of his pictures, he joined his father in the family business, a clothing shop. 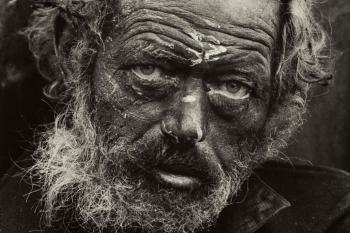 By the time his father died in 1962, he had already started photographing Afrikaners. 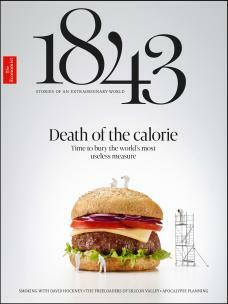 The following year, he sold the shop and threw his energies into telling the story of his country. His pictures were exhibited around the world; in 1998 he became the first South African to be given a solo exhibition at the Museum of Modern Art in New York. It wasn’t until the 1990s that Goldblatt started to shoot in colour. “During the years of apartheid, colour was not the appropriate medium as it was too sweet,” he once said. Universal suffrage and Nelson Mandela’s election brought him the freedom to look at his country in technicolour, as well as “a sense that I didn’t any longer have to feel guilty every time I looked at something that wasn’t immediately relevant to the struggle,” he said. 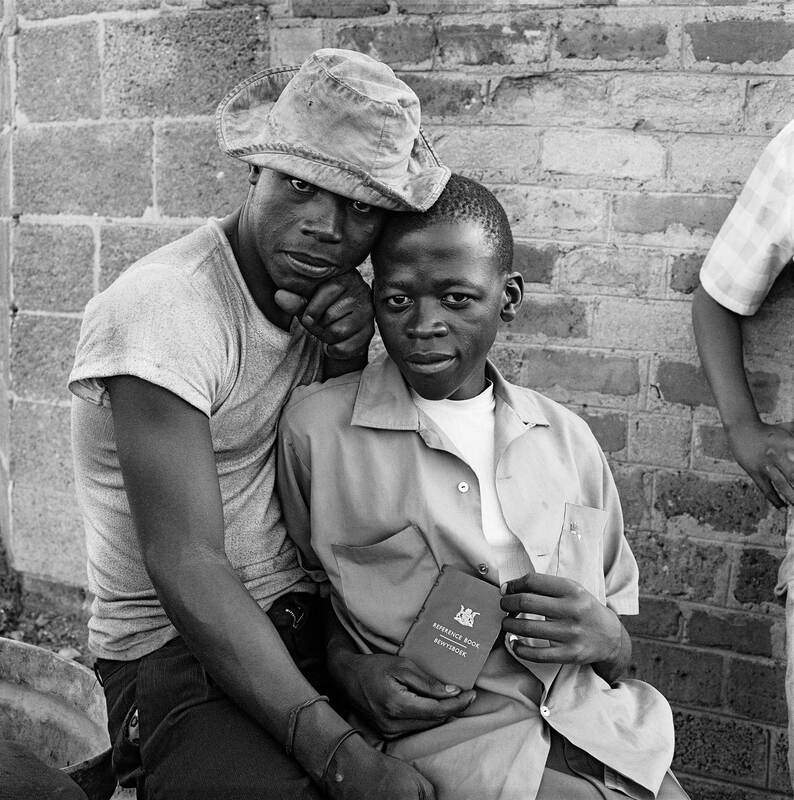 Whether shooting in colour or black and white, Goldblatt carried on using his camera to tell the story of his country until the very end. He died last year, a few months before the retrospective at the Museum of Contemporary Art opened. 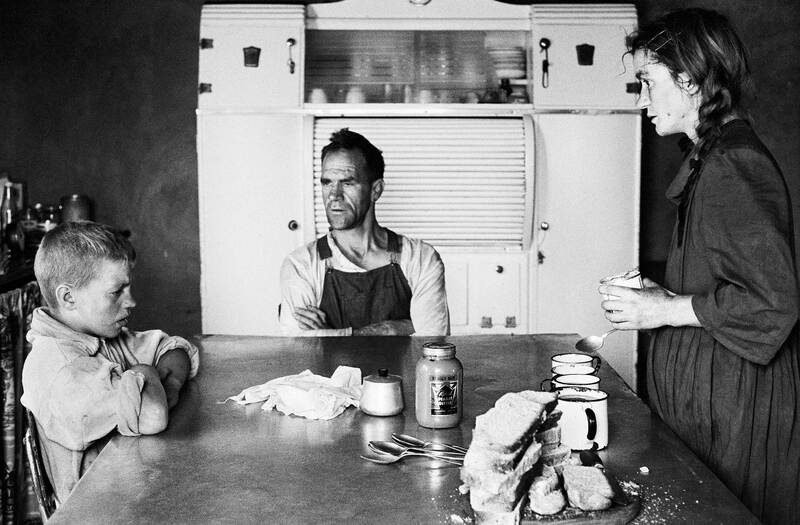 In the the years before his father died and Goldblatt sold the family business, he travelled round South Africa taking pictures which would be collected into his first book, “Some Afrikaners Photographed” (1975). There are layers of national history in this shot, which is reminiscent of Dorothea Lange’s Depression-era pictures. Many Afrikaner families had lived on large farms before the Anglo-Boer War (1899-1902) and its aftermath brought cattle disease as well as poverty, which lingered years after the war had ended. You can see the hardship in the chipped tin mugs, and in the dark, unadorned walls of the family kitchen. Hillbrow is a residential area in central Johannesburg. At the time only whites lived there. This man is smartly dressed; the viewers’ eyes are lured to his polished shoes and the pressed white handkerchief poking out of his pocket. He probably worked for the family of the young boy staging the hold-up, who clearly knows and loves him; most white children were brought up by black nannies and house workers, with whom they spent much of their childhood. It is an everyday scene, in which Goldblatt shows the age of innocence – before racism became ingrained in this boy’s thinking. 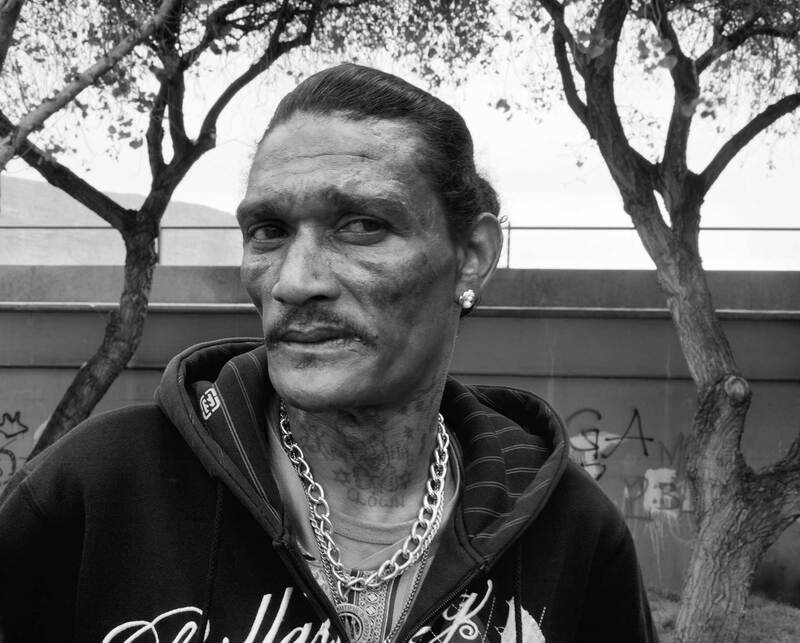 Goldblatt spent years taking photographs of Johannesburg – of the white areas of the city centre, the comfortable suburbs and the townships on the outskirts, which were designated for Indians, coloureds (mixed-race people) and blacks. Soweto – the name was an abbreviation of South West Township – was the largest township, a muddle of small houses and shacks, schools and shops, which was home to most of the black population, who travelled into the city to work each day. 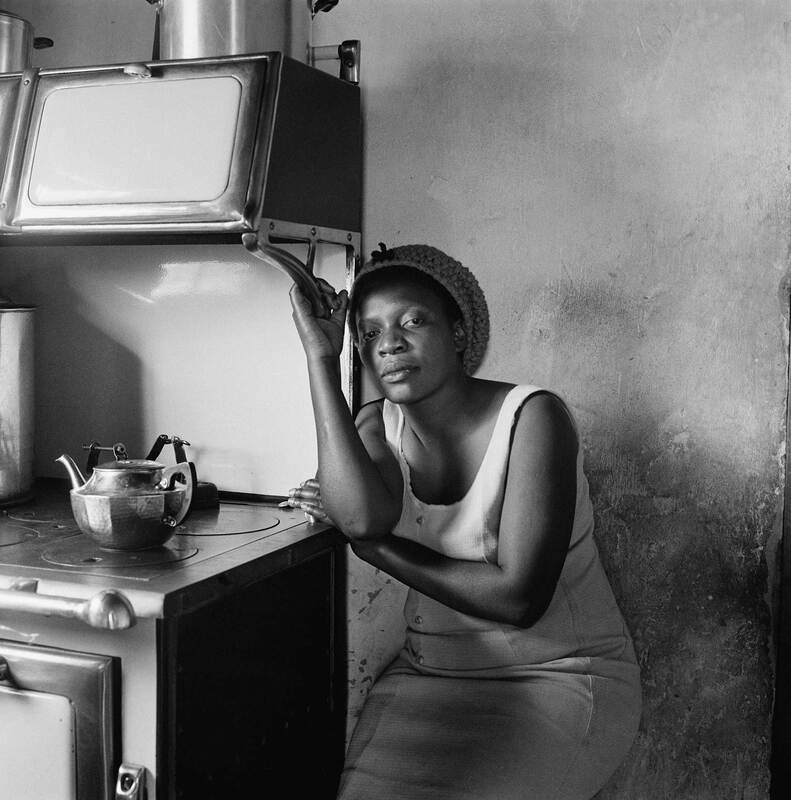 There’s a resigned, tired look in the face of Patience Poni, who is grabbing onto the hood above her parents’ cooker, as if she does not want to let go of the small bit of stability it represents, with its soot-stained walls and polished pewter teapot. This shop assistant, who works in Orlando West, a district of Soweto, stands guard in front of the staples of South African urban food: Milo, a malted drink, Five Roses tea and Koo peach slices. 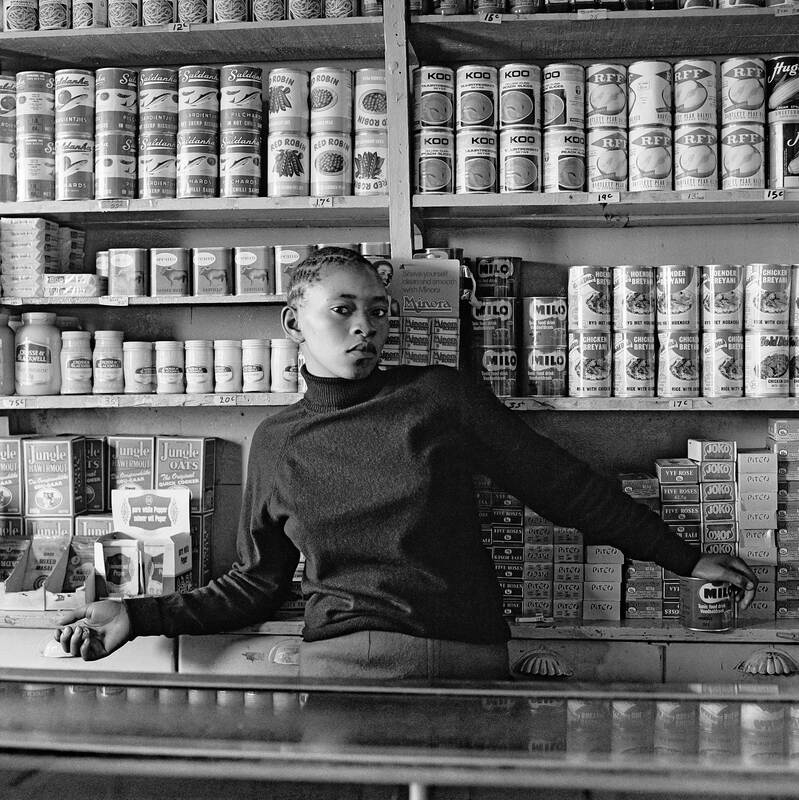 Few white people ventured into the townships in those days and in this picture Goldblatt has captured a wariness about her – as if she is protecting her shop and challenging his presence in it. In the system of apartheid, each black person needed a dompas, or passbook, to enter white areas. These were like passports but had to be signed daily by their employers. Both prized and loathed, they were a symbol of servitude and incarceration in the system of apartheid. This picture captures that contradiction: the young man on the right looks into the camera with a steadfast gaze, displaying his dompas. The other, one fist clenched, his arm draped protectively around his friend, looks out from under his hat with restrained aggression. The waitress in this restaurant in the northern suburbs of Johannesburg is dressed in a matching dress and doek, the headscarf worn by most domestic staff. The way her uniform matches the lattice on the counter behind her was clearly not lost on Goldblatt. There is something a little dingy and formal about the restaurant, with its tired Christmas decorations and obligatory lace-edged table cloths. One imagines that it would soon be filled with the elderly stalwarts of the golf and bridge clubs, who would not pay much attention to the spindly legged young waitress in her polished shoes. This was taken in the mid-1980s as the National Party was beginning to feel the reins of power being pulled from its grasp. It responded to resistance with violence. Rallies were banned and people who showed any sign of opposition were branded terrorists, hauled off the streets, beaten up by police and locked up without trial. 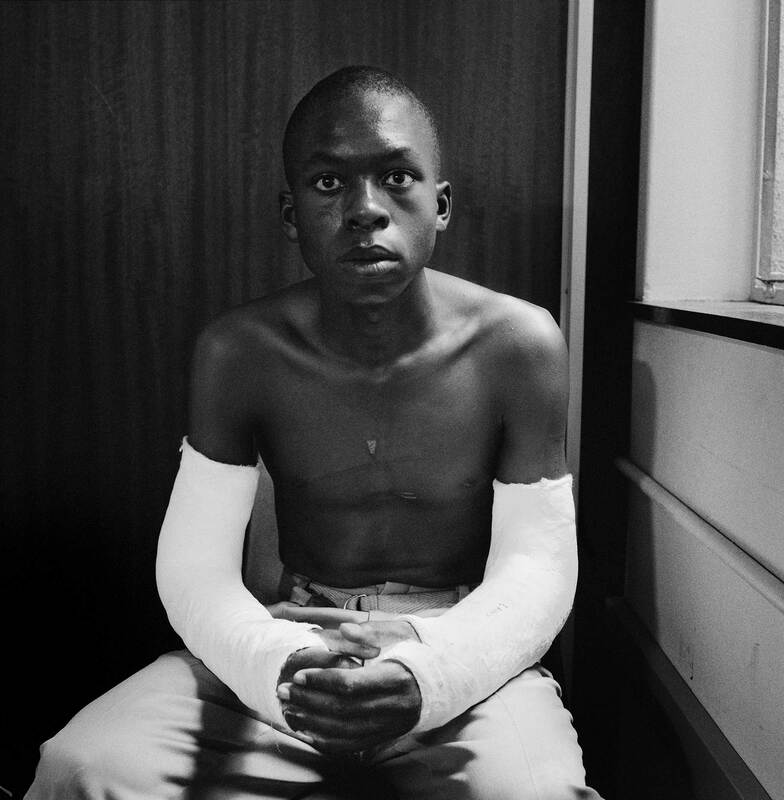 This young man is sitting in the headquarters of the South African Council of Churches, both arms in plaster after he was beaten and detailed by the security police. Yet although his limbs are incarcerated, his expression shows the defiance that was growing among the majority – and which, nine years later, would result in the first free elections in South Africa.